Your family's comfort is our business! 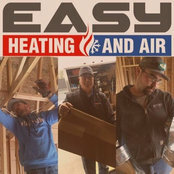 EASY Heating & Air provides sales, service and installation of heating and air conditioning (HVAC) systems in Boise and the surrounding area. We service all makes and models and offer 100% satisfaction guaranteed. All our technicians are NATE Certified Comfort Specialists with advanced training in A/C repair, installation, and service. Give us a call for instant and exceptional service!